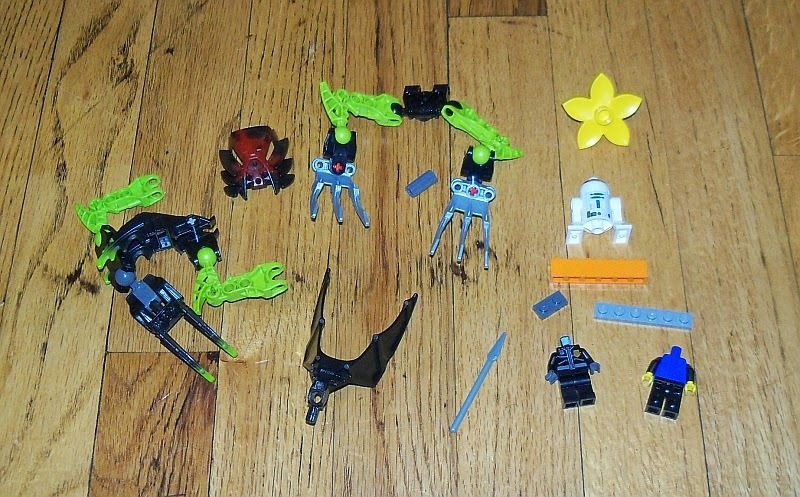 A nice little haul of Bionicle thingymajigs. Headless minifigs, a few system parts and more Chima cards (not pictured, obviously). The funny thing about this lot is that I was just thinking how I'd like a mini R2-D2. I've passed dozens through my fingers but never kept one. Then this guy shows up. Sweet.